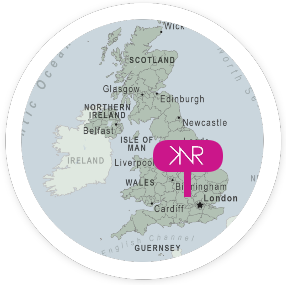 KNR Jewellery was founded in 1999 by Kirstie N Reynolds. 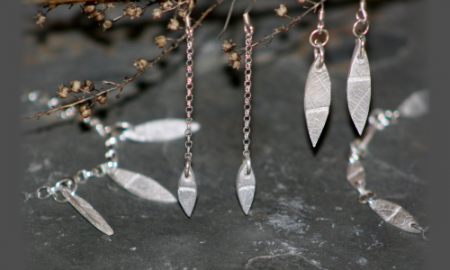 Kirstie designs and creates her jewellery from Banbury, Oxfordshire where she lives with her husband and children. 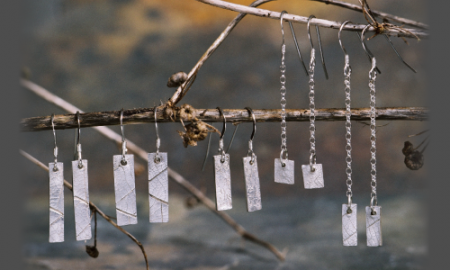 Kirstie originally graduated in ceramics and soon discovered precious metal clay and began making silver jewellery – for which she has become well known and respected for. 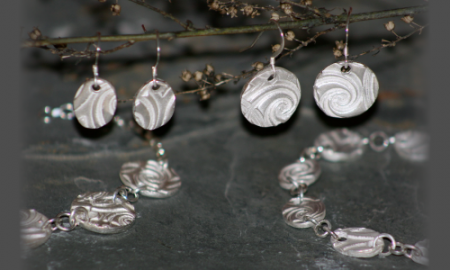 Her ceramics background was the perfect foundation for her venture into precious metal clay jewellery. PMC is a revolutionary material that challenges any preconceptions about how precious metals must be worked. It is a mixture of microscopic particles of pure silver suspended in a non-toxic binder to create a pliable material similar to clay. 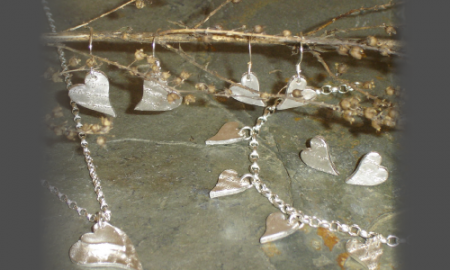 It is fired in a kiln like regular clay to burn off the water and binder leaving us with 99.9% pure Silver. Stones set into jewellery items are all laboratory grown to replicate natural stones and are fired in the kiln with the precious metal clay. 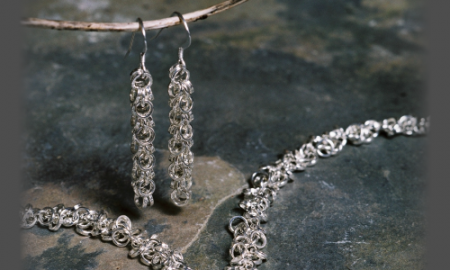 Otherwise known as ‘fine silver’ for its purity, jewellery made using PMC can therefore be worn by people normally sensitive to sterling silver as there are no other metals present. 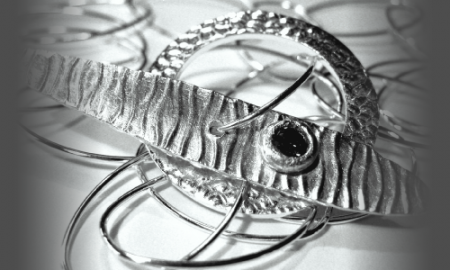 With this in mind, fine silver is slightly softer but Kirstie’s processes do ensure that all items made are as durable as possible but extra care should be taken. Fine silver is hallmarked at 999 and Kirstie has her own stamp held at the Birmingham Assay Office. 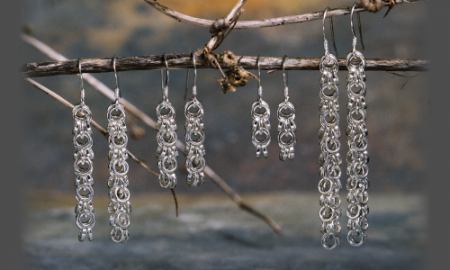 Each jewellery collection has a distinctive and inspiring characteristic – whether it be the impressions made into the silver, the treatment of the surface or the finish given to the jewellery. 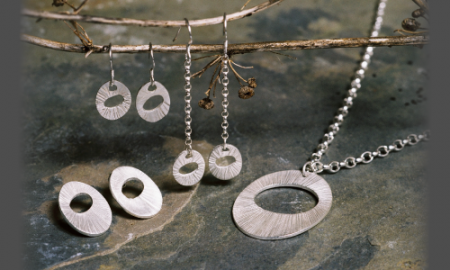 A mix of natural and geometric shapes, textures and gemstones are the foundation of Kirstie’s style creating contemporary yet timeless pieces that can be worn by a mix of ages. 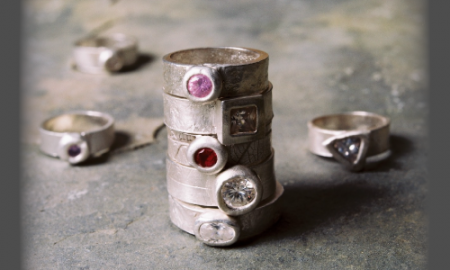 Contact Kirstie for more information on individual collections or for a gallery stockist local to you.